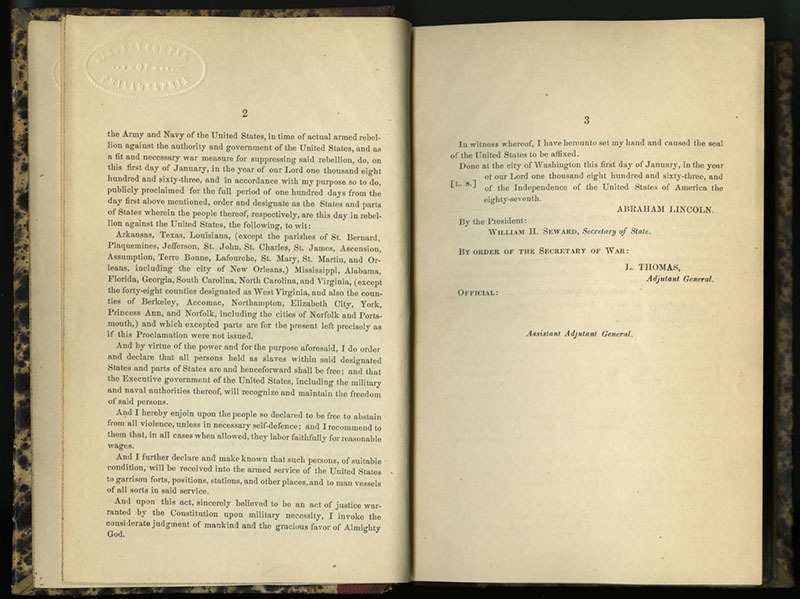 On September 22, 1862, after the Union victory at Antietam, Lincoln issued a drastically rewritten preliminary Emancipation Proclamation, formally giving Confederates one hundred days to surrender before forfeiting their slaves. 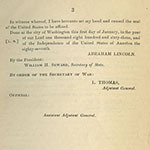 As the war continued, he issued the final Emancipation Proclamation on New Year’s Day. 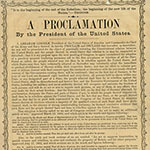 While the proclamations had limited immediate impact, they changed the moral tenor of the war to a battle for abolition. Each version represents Lincoln’s deliberations, amidst a fragile political and social climate, about the optimal method for enacting emancipation while also ending the war. Abraham Lincoln. A Proclamation. Washington, D.C., 1862. Manuscript. Bequest of Anne Hampton Brewster. 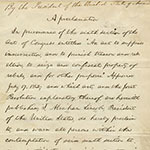 Written in Abraham Lincoln’s own hand, this draft of Lincoln’s July 25, 1862, proclamation warned rebels that they risked forfeiting their property unless they surrendered. Although Lincoln did not specifically mention either slaves or emancipation, the threat of forfeiting enslaved human property is implicit. 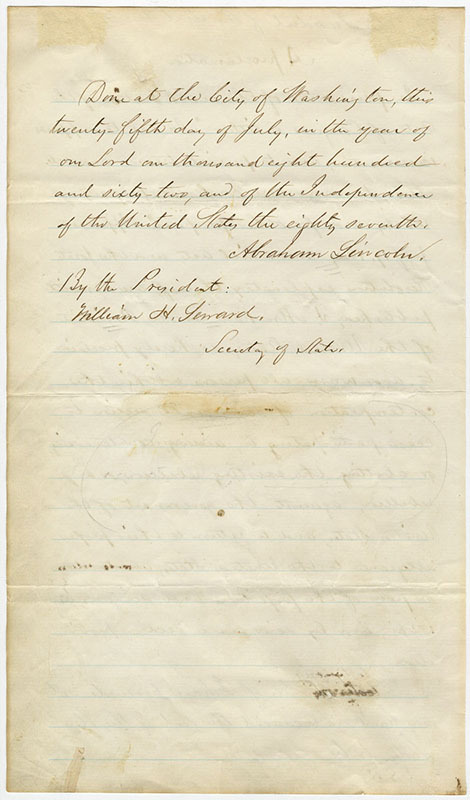 A predecessor to the Emancipation Proclamation, this document marks an important instance of Lincoln wielding his presidential authority to strike a blow against slavery. 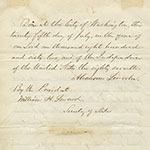 The document’s historic significance for abolition was trumpeted two years later when it was auctioned at the Great Central Fair in Philadelphia (and purchased by a Library Company member) to support the Union war effort. Abraham Lincoln. [Emancipation Proclamation]. [New York]: Walter Low, 1862. Lincoln’s hesitation to abolish slavery partly arose from his uncertainty about whether the Constitution granted him the power to do. 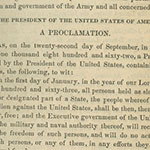 Thus, in a change from his July 25 proclamation, he began this preliminary Emancipation Proclamation by invoking his position as “Commander-in-Chief of the Army and Navy,” justifying his action as a wartime expedient. 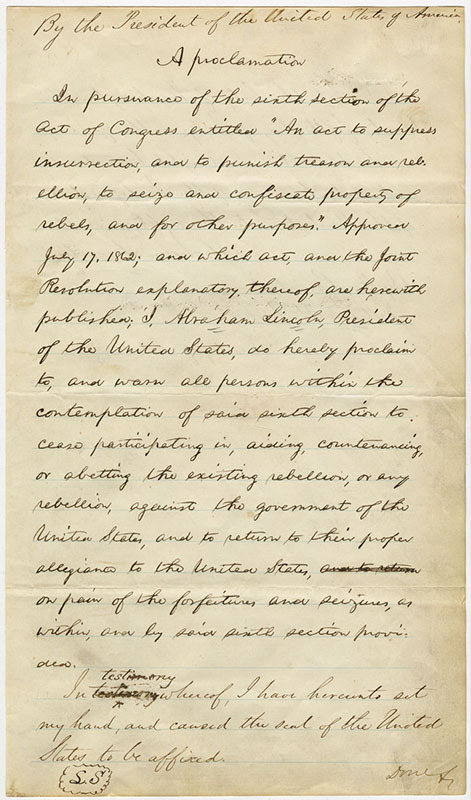 This preliminary version demonstrates his desire to end slavery throughout the country by compensated emancipation in Unionist states and by confiscation in the Confederacy. United States. War Department. General Orders, No. 1. 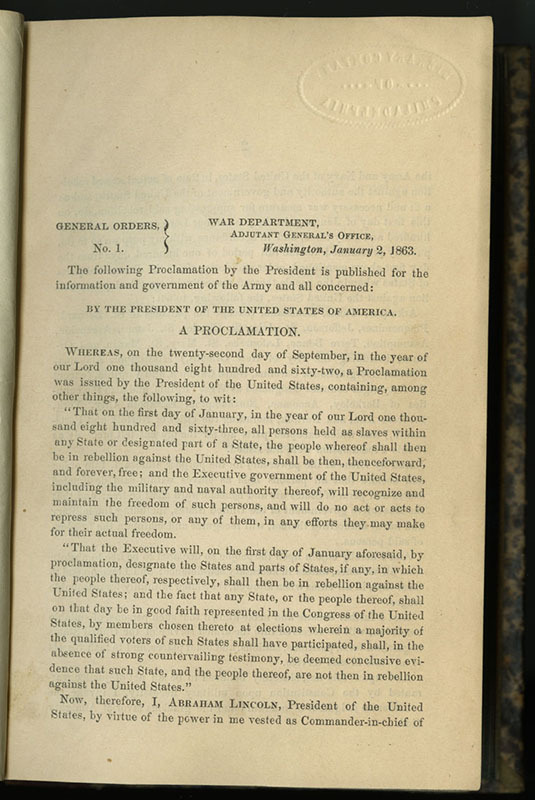 The Following Proclamation by the President is Published for the Information and Government of the Army and All Concerned Washington, 1863. Confiscation Act of 1862 by freeing slaves in rebellious states, whether or not the slave holders were engaged in insurrection. Absent, however, is language that would free slaves in Unionist states. proclamation for being as ineffectual as the “Pope’s Bull against the comet” since it only freed slaves in areas where the Union had no power. 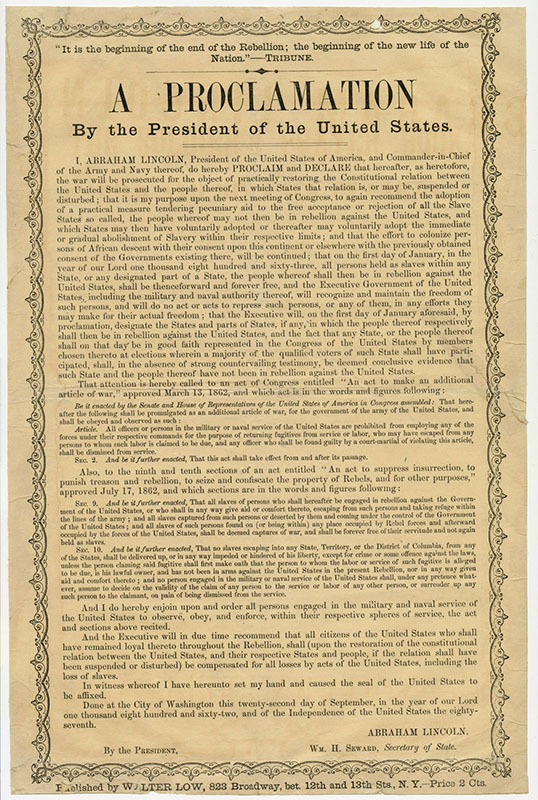 Because the Emancipation Proclamation mandated that U.S. military personnel recognize and protect the free status of slaves from the Confederate states, copies were widely disseminated to soldiers in the field. Issued on January 2, this version is likely the earliest printing.